The University has already set up an action plan to promote research activities. Gangadhar Meher University (GMU), located in this Sambalpur, Odisha, has set up a special cell to promote research activities. “Earlier, the institution was a college and not much research work was undertaken. However, it has been upgraded to a university and the focus is on research. Hence, to promote and support research work, a Research Promotion Cell (RPC) has been formed,” said Member Secretary of the RPC, U C Pati. An action plan has already been prepared by the newly formed RPC to promote research activities, he said.Established in 1944, the Gangadhar Meher College was upgraded to a university in May, 2015. The institution, which has 5300 students, offers undergraduate, postgraduate, M Phil and pre-doctoral courses besides self-financing and vocational courses. The students of the university will benefit immensely with increasing research activities, Pati said. Apart from this, our institution will also participate in the National Institutional Ranking Framework (NIRF) of the Union Human Resource Development (MHRD) ministry this year. The research activities will help the institution get a good ranking in the NIRF, added Pati. New Delhi, June 24: The Union government today put to rest the uncertainty over selection of site for an IIM in Odisha by clearing the proposal to set up the premier institute in Sambalpur. The decision also paves the way for possible commencement of academic programme from the current session. The Union cabinet chaired by Prime Minister Narendra Modi today cleared the proposal for setting up of six IIMs, including the one in Sambalpur and another in Bodhgaya in Bihar. The other IIMs will be set up at Vishakhapatnam in Andhra Pradesh, Sirmaur in Himachal Pradesh, Nagpur in Maharashtra and Amritsar in Punjab. A press statement issued by the Press Information Bureau said these IIMs would begin functioning from assigned temporary facilities and shift to their permanent sites after construction of their campuses. “It is intended that these six new IIMs will commence their first academic session from 2015-16,” the statement said. Each institute will start with 140 students in the postgraduate programme courses. IIM Indore, which is mentoring IIM Odisha, had earlier written to the ministry of human resource development (HRD) that it might not admit students unless the permanent site and temporary campus for the B-school are finalised at the earliest. Last year the HRD ministry had written to the state governments asking for possible sites with around 200 acres of land with good connectivity. The Odisha government had suggested two sites in Bhubaneswar in view of its air connectivity. A central site selection team visited the sites in Bhubaneswar last December and had picked one near Gothpatna on the city outskirts. After petroleum minister Dharmendra Pradhan put his weight behind Sambalpur as the site for the IIM, the HRD ministry wrote to the Naveen Patnaik government asking for its opinion on setting up the institute in west Odisha. After the state government agreed to it, a central team visited Sambalpur on Monday and the Union Cabinet cleared the proposal today. There was jubilation In Sambalpur with people bursting crackers and distributing sweets. 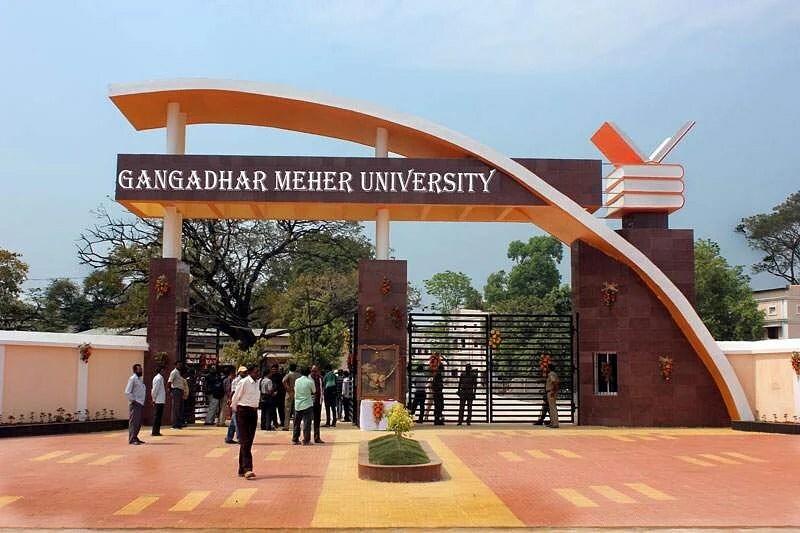 “This area of the state will become an educational hub after the IIM is set up,” said president of Gangadhar Meher University students’ union Milan Hota. BHUBANESWAR: The Higher Education Department on Saturday appointed three Officers on Special Duty (OSDs) for the upcoming Rama Devi Women’s University, Khallikote Cluster University and Gangadhar Meher University. 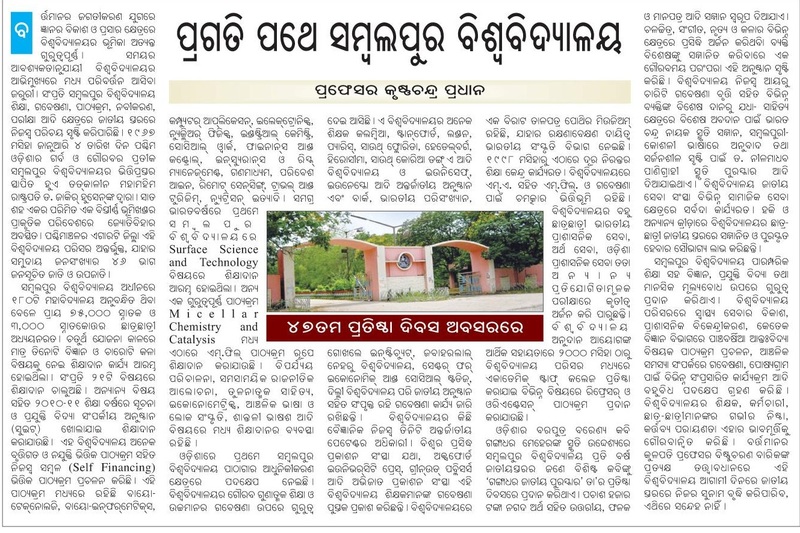 The OSDs are Utkal University’s Economics Professor Padmaja Mishra for Rama Devi Women’s University, Berhampur University’s Registrar Manmath Padhi for Khallikote Cluster University and Sambalpur University’s former registrar Sudhanshu Sekhar Rath for Gangadhar Meher University. The OSDs will be the acting Vice-Chancellors (VCs) of the universities till three regular VCs are appointed. In another development, Srikant Kumar Mohapatra, IGNOU’s Odisha office Director, has been appointed OSD for the State’s first Open University to come up at Sambalpur.